Currently, there are only around 100 movies that are being offered for free and with ad support. While it’s mostly some forgettable Hollywood movies, there are also blockbuster classics like The Terminator and Rocky. Read more on this by clicking on the source link below. The video producers have option to earn more money by allowing the ads to run completely (without the option of skipping after so many seconds). Here’s how you can turn any music YouTube video into an MP3 and save yourself from unnecessary bandwidth waste. One of the best ways, I have found, to convert YouTube Music Videos to MP3’s is to use the free software called “Freemake YouTube to MP3 Boom” (see source link below). What I especially like about this software is that all bases are covered. “Freemake YouTube to MP3 Boom” has been developed in such a way that you can perform 3 basic steps within the software itself to get a good end result. 1-Search for Music by going to YouTube and copying the link of the video for MP3 download. Or look for songs or artists inside the app. 2-Preview a Song by clicking “Play” to make sure the track is what you need. You may play music while downloading. 3-Convert YouTube to MP3 by pressing the “Download” arrow or “Download all” to save the MP3 file or the whole collection. Freemake software can convert multiple YouTube links to MP3 at once. Download full music collections from YouTube with one click. No limits! Watch the developments of April the Giraffe, LIVE on YouTube! My wife has been persistently following the live feed on YouTube of the developments of April (and Oliver) the Giraffes at the Animal Adventure Park in Harpursville, NY. April is expecting a calf… Follow the progress as she and her mate, Oliver, welcome a new baby. YouTube is rolling out a $35 monthly streaming service that includes live TV and ABC, CBS, NBC, Fox, ESPN and Bravo… For more in-depth information, click on the source link below. Thought this may be of interest to you Android users… It is called YouTube Go (currently in beta) that allows you to preview and download YouTube videos to your device. The goal is to save you on your data usage. The app allows you to select either a standard or basic download (which both are less than 720p). ✔️️ Find a world of videos: 🎵 songs, 🎥 movies, 📺 TV shows, 😂 comedy, 👜 fashion, 🍲 cooking, 🛠️ how-to’s and many, many more! Beta test of the new YouTube Go app – try it now! This week’s blog posting on “How To Watch YouTube In TV Mode On Your Computer” is actually a very easy posting for me. To go into the YouTube TV Mode on your computer, simply open your browser and type in the following URL: https://www.youtube.com/tv … That is all there is to it. Once you are there there are three very easy keyboard commands you need to know. By hitting the “G” key on your keyboard, a guide will slide out from the left side of the screen. To perform a YouTube search, simply hit the “S” key on your keyboard. If you need to go back to the Home Screen, simply hit the “ESC” key on your keyboard. You can also easily navigate YouTube.com/TV with your mouse (pay special attention to the sidebar on the left side of the screen). YouTube.com/TV is also called YouTube Leanback and can also be launched by entering the URL of https://www.youtube.com/leanback. This mode of watching YouTube, which is commonly not known (or is forgotten about), is especially beneficial for those who have the larger computer monitors or have a media center set up on a large screen TV. File Encryption Software That I Was Unaware Of – Have you ever heard of MEO File Encryption Software? I was unaware it existed and glad that I found it. A free version is available for non-commercial use. If you like it, I found that following the install you can copy the folder where MEO File Encryption is installed to your flash drive and turn it into a portable app. Very nice (and easy) file encryption software with the following features (in the FREE version): Easily encrypt files and folders; Decrypt files that have been encrypted; Encrypt emails and send within MEO; and Create self-extracting encrypted files that can be decrypted without encryption software. Learn To Tie Knots Online – Check out Animated Knots by Grog that is described on the site as “TIE KNOTS THE FUN AND EASY WAY – Better to know a knot and not need it, than need a knot and not know it”. There is a desktop and mobile version available. Bet You Never Saw This Before – I have been looking around for a bluetooth capable mouse for my Android tablet and came across a mouse with a bluetooth speaker built into it. 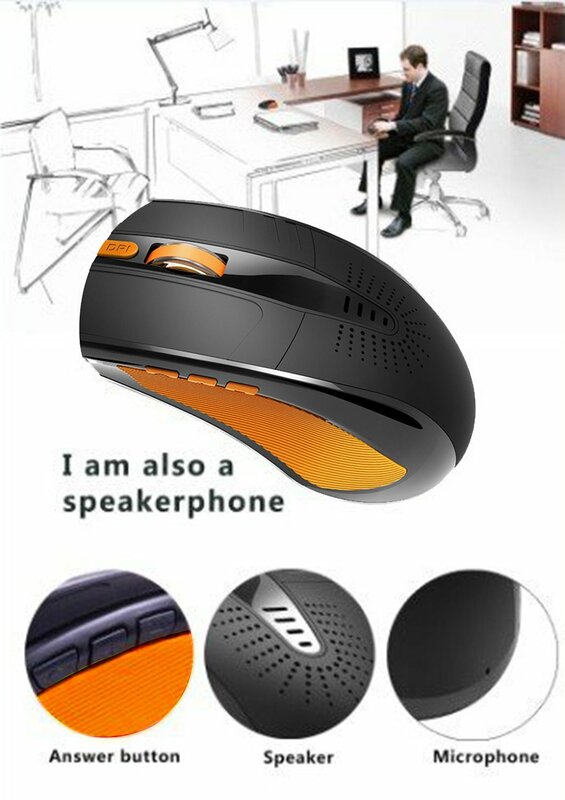 It is called the Aerb® Wireless Bluetooth Speaking Mouse . I haven’t decided whether to splurge for this (just to have something different); but, I have never seen anything like it. A mouse with a speaker built into it is a really neat concept; especially, for a tablet or smartphone. Anytime I can find software that meets my criteria of being multi-purpose; looks good; is available as a portable app; and, is FREE — I will grab it… The Windows multimedia player called CherryPlayer meets that criteria and more. I will definitely be following the development of this player. I threw a number of various audio and video file formats at CherryPlayer and it played them all with success. Looking for a way to convert your favorite music videos to MP3? Look no further… I have been on the hunt for an online YouTube video to MP3 converter and found quite a few; HOWEVER, I finally settled with a FREE service called convert2mp3.net – Online Video Converter. This service is cloud based, which means everything can be done to make the conversion by using your web browser, which means “no software to install”. I think the things that impressed me the most with convert2mp3.net is the built in search component, how fast the conversion takes place and that the end result of the conversion is excellent; PLUS, unlike many of the other services I tried, there are no surprise pop-up ad pages (that looked pretty shady to me). A recent post, I featured an online (cloud based) music player, called YouZeek, that streams music from YouTube. After posting this article, I started looking around to see if there were any other online YouTube music players and came across Youtify. It will be a matter of preference on whether to use YouZeek or Youtify. What I found is that YouZeek uses a more featured rich interface; whereas Youtify uses a more minimalistic interface or approach. I sort of liked the idea that I could easily navigate Youtify. With Youtify you can stream music from YouTube, SoundCloud, and Official.fm… You can easily setup songs to play in a queue or playlist and can go full screen to watch a corresponding YouTube music video. It appears Youtify is designed only to be played from a browser and does not feature interfaces for other app platforms (such as Android and Apple). Youtify was created by Per Thulin and Karl Tannergård and was launched on May 8, 2011. Youtify works as a skin for YouTube, SoundCloud and Official.fm, allowing for fast and easy search among music from international superstars as well as independent artists. With the integrated support for Flattr microdonations, Youtify has a unique way for fans to support artists. I am sure you have heard of CCleaner. CCleaner is the number-one tool for cleaning your Windows PC. It protects your privacy online and makes your computer faster and more secure. I just happened across a site called Agomo, that is currently in early beta stages, that will give you the ability to run CCleaner from any computer you have connected to the internet. In other words, Agomo is making CCleaner a cloud based application. As I mentioned, Agomo is in beta and is not currently available to the general public; however, you can sign up for a chance to be a beta tester. If you upgraded to Windows 8.1 and you are now being required to logon with a Windows Live account, there is way to bypass that logon screen and let Windows auto logon for you. As you may have discovered, Windows 8.1 is tightly integrated into a Windows Live Account. As a result, it can be a pain, especially for home based computer users to login each time Windows starts. By following these steps, it will make your life using the computer a little easier. Hit the Windows Key and the R key on your keyboard (Win + R) to bring up the RUN dialog box. When the Users Account box appear, under the Users Tab you will see he following: Users must enter a user name and password to use this computer. Restart your computer to see if it took. During start up of the computer you will briefly see the log in screen (if you followed the steps correctly). To keep you busy this weekend; especially if you are snowed in, check out Zero Dollar Movies. What Zero Dollar Movies is a collection of over 15000 full length movies that are available on YouTube. My guess is that many of these are not theatre quality movies, but all the same there may be some good watchers here. The site is very nicely organized and categorized by their year of release. There is an instant search feature built in that you can use to determine if a particular title is available for watching on YouTube… ENJOY!!! This week we are featuring 7 different ‘squeaks’: A really nice Windows 8 App that you need to grab; Rumors about an update to Windows 8.1; A tech site that will hit your tech sweet spot; FREE software to remove malware; A video on how to make a phone or tablet stand; A wallpaper for the geek types out there; and, an Acer Ultrabook that is a real powerhouse. With the next update to Windows 8.1, Microsoft really wants mouse-and-keyboard users to feel comfortable with modern apps. We now have a good sense of what to expect in Windows 8.1 Update 1, thanks to a series of leaks from Win8China and reliable Russian blogger WZor, along with reporting by Paul Thurrott and ZDNet’s Mary Jo Foley, two writers with a strong track record for breaking early Windows news. One of the strategies often used, when a computer is infected by malware, is to “try” and get Malwarebytes Anti-Malware installed; HOWEVER, many times the malware itself will prevent the install. This is where Malwarebytes Chameleon comes into play. Malwarebytes Chameleon technologies gets Malwarebytes Anti-Malware installed and running when blocked by malicious programs. #7 – THE TECH PRODUCT OF THE WEEK features the Acer Aspire S7-392-9890 13.3-Inch Touchscreen Ultrabook. This is an example of the direction that ultrabooks are heading with powerful processors, solid state drives, long battery life; all in a thin architecture. • 1,000 free 4×6 prints a year! • Expedited shipping available for just $1.00 more! • Your photos printed and shipped to your door in just a few days! Search for online music & videos from: Youtube, SoundCloud and more. Some experts note there’s no evidence that screen time — whether from a TV or tablet — provides any educational or developmental benefits for babies and toddlers. Yet it takes away from activities that do promote brain development, such as non-electronic toys and adult interaction. Toogles is absolutely awesome in that it uses a minimalistic and simplistic approach to watching YouTube videos without all of the extra fluff. As a matter of fact, you do not even sign into an account. Simply go to Toogles [HERE] AND start watching or searching. Once the page loads I guarantee you it will take you less than 10 seconds to figure Toogles out… It’s so easy a geek caveman could figure it out! From what I can see, based on the reviews at the Google Play Store, 9×9.tv is a relative newcomer to the Android platform. If you are into watching video streamed from the internet, then you need to download this app. The selection is awesome and what is neat about 9×9.tv is that it will continuously play videos. I was especially amazed at how good it looked on my tablet and how smooth the videos played. Tune in at any time for a personalized bite-sized selection of channels with content that informs and entertains. For example, the “Morning Shows” time slot provides a channel line-up consisting of breaking news and morning talk show channels. “Late Night” on 9×9 features comedy and late night talk shows. So just sit back and let 9×9 entertain you with one episode after another non-stop. Turn on the excitement with every flip as you navigate the channels prepared for you by 9×9’s curators to discover Internet videos you never knew existed. Let 9×9 guide you through a personalized video tour of what matters to you every time you flip it on. Got more than one Android device ? With one simple tap, beam the video playback from one Android screen to another and use the original Android device as a remote. Great for sharing YouTube and other content on a big screen TV connected to a Google TV. 9×9 app supports Android devices including smartphones, tablets and Google TV. Once you make a video selection, there is a trick to moving from one video or channel to another (see below). Today I want to share a free video converter with you. I just found it on CNET. Similar to FreeMake, but it has both windows and mac version. And their chrome extension is good to. I can convert youtube to mp3 and download youtube clips one click. I hope that will be valuable and can help others. Please keep going on. Thanks again. If you notice, a couple web links of interest in terms of a video converter (called WonTube) is mentioned, but the one link that I especially was interested in was the link for the Google Chrome Extension (of WonTube). Before I get into the description of the WonTube Chrome Extension, please note that the first link he reflected is to the Windows and Mac software versions of WonTube. If you do not use Google Chrome, you may then be interested in the software version [ CLICK HERE ]. The Google Chrome Extension of WonTube is actually something I had been looking for; where I could, “on the fly”, straight from the Google Chrome browser window download YouTube videos and convert them to another video format or convert them to an audio format (such as MP3). By doing this, I do not have to exit the browser window to start up other software on the computer to perform the desired task. The WonTube Extension, after installed, sort of threw me off due I was looking for a button at the top of the browser. Where the magic works here is when you go to the YouTube site. When you pull up the desired video that you want to work with, you will see two buttons embedded near the YouTube video title (see below for example). One button is labelled “Download Video” and the other button is labelled “Convert to mp3”. Click on your desired choice and you will be redirected to the WonTube conversion site where the conversion will (quickly) take place. Following the conversion you will have the option to download the converted result. To the reader of the blog, who contacted me about WonTube, What’s On My PC, says Thank You… Nice find! There is so much video content on YouTube these days; from music videos to comedy to educational videos, etc…, that it is beyond our level of comprehension and imagination. Oftentimes I will bookmark the videos, not so much to watch them, but to listen to the video (e.g. an educational video) while I am working on my computer. This is all fine and dandy when I have the resources to do that; however, there are instances where I wished I could listen to my favorite videos; especially when I am travelling. It would sure help make the time go by. Let’s face it, watching a video while driving down the road just is not a safe practice. Well, I came across an online utility that was the answer to my wish. It is called, TuneTune. To use TuneTune: Simply enter the link to the YouTube Video and click on the “Convert” button. During the conversion, which is quite fast, a visual indicator will appear to indicate at what percentage the video has converted. Following the conversion, click on the “Download” button and enjoy. How to Determine What Videos Are Topping The YouTube Charts? When I visit YouTube I am often looking for the videos that are topping the charts (most popular). This can be a challenge; however, there is an easy way to see what videos are topping the charts for the day, week, month and even all time. Not only can you determine what is popular at the moment for the most viewed videos, you can also determine what is topping the charts for the Most Discussed Videos, the Most Liked, the Most Viewed HD Videos, and the Top Favorited. Hmmm… Is favorited a word? What does a cluttered desktop mean? for Windows sporting a very small footprint. YouTube (and Google) continue to raise the bar when it comes to online video content. Typically, it features a repository of short video clips and now they are working toward featuring longer, higher-quality video content on its website. Google, which owns YouTube, plans to invest millions into developing “original content”. On that note, YouTube is featuring a premiere video (hour-and-half-long) called First Orbit. The video is a real-time recreation of Russian astronaut Yuri Gagarin’s first 108 minutes long orbit of Earth in 1961. To mark this historic flight YouTube has teamed up with the astronauts onboard the International Space Station to film a new view of what Yuri would have seen as he travelled around the planet. If you are interested in watching this move, [CLICK HERE] . Abelssoft, a software developer out of Germany, has released software that will seamlessly allow you to download music and music videos from YouTube directly to your PC. You can search (and download) individual songs, albums and videos. The YouTube Song Downloader allows you to easily download music of your favourite band as MP3 or video and it’s 100% legal. Simply type in the name of a song and click on download to get it. Our new software will care about the rest. The downloaded songs (and albums) are converted to the popular MP3 format and the videos can be coverted to the AVI, FLV or MP4 file formats. The user interface for this application is very user friendly and easy to understand. To use YouTube Song Downloader, simply type in a song title into the search field and click the search button. You will see the results immediately. The YouTube Song Downloader can access millions of music files. Simply select an entry and click the play button to get things going… You can download music files (MP3) or videos (FLV, AVI, MP4). The YouTube Song Downloader allows you to get a clean and informative overview about the download status at any time. Since 2005, YouTube (owned by Google) has become the common household name for online video sharing… I do not know how many videos are currently available on YouTube, but it has to be in the millions. Have you ever watched a YouTube video and wished you could save it to play on your computer; or play it on your iPod or Mobile Phone? It is possible with YouTube Downloader. Simply enter the URL (web address) of the video. Click “OK” and the wait for the video to download. If you desire to convert the video you downloaded, then select “Convert Video (previously downloaded) from file” and then select the video format you desire to convert to. It allows you to convert downloaded videos for Ipod, Iphone, PSP, Cell Phone, Windows Media, XVid and MP3. Now, the really “cool factor” with YouTube Downloader is that it will also work with numerous other video site providers (such as Google, Bing, Break, Daily Motion, ESPN, etc…. ).You can see the whole list [HERE] . The popularity of YouTube Downloader speaks for itself. It has been downloaded over 37 million times at Cnet. If you have an obsession for information technology and computers, then I encourage you to become a regular subscriber of the sites listed below. To whet your appetite, What’s On My PC randomly selects each week recent articles that have been composed by the authors who are members of the What’s On My PC blogroll. Best and worst computing advice you know? Welcome to the weekly listing of articles from the “What’s On My PC…” blogroll community. These are articles are articles posted by the authors during the past (7)-seven days. If you notice on this list (and the blogroll) there are some recent additions (e.g. Mrintech, Computer Too Slow, Blogging Fool). If you are looking for a great selection of tech related information, then you need to visit these sites (blogs) that are maintained by a great group of dedicated people. Yahoo! Increases Email Attachment Size to 25 MB! Insure your kids safety online, please. This is an off topic blog post, but sometimes those posts can be the best. When I come across something that I feel is phenomenal, I have to shout it out. All of us have listened to or have been exposed to the hymn “Amazing Grace” at one time or another. It is one of the most popular hymns in America and is a hymn that really touches the soul. The history of what inspired the words to “Amazing Grace” is interesting in itself. Recently while browsing YouTube, which I am really not a frequent visitor, a music video of “Amazing Grace” being sang by Il Divo, the popular operatic quartet, caught my attention. The combination of the hymn and this quartet is phenomenal. I encourage you to take a moment to listen to and view the video. Seagate who is worldwide leader in computer hard drive technology recently sponsored a “rap video”, created by two individuals calling themselves the “Sniper Twins”… The video created by the duo is called “Computers Friends – Stack the Memory to the Sky”. Now, I am not into rap, but when I see a couple of young up and coming techs rapping in my language, I have to like it. Note: Best viewed on a broadband (high speed) internet connection. Have you ever wondered is there a way to download video from some of the top video sites such as YouTube, Google Video, My Space, etc… ? The answer is yes, with VDownloader. VDownloader is one of the easiest downloaders I have seen; plus it has the capability, with one click of the mouse, to download and convert the video to AVI, MPG, iPOD, PSP, 3GP, VCD, SVCD, DVD, FLV and MP3 (audio only). VDownloader has a built in browser (to browse the video sites) and a built in search engine (to search for videos). Using VDownloader is a basic 3 step process.